Vredefort is a small farming town in the Free State which was established in 1876. 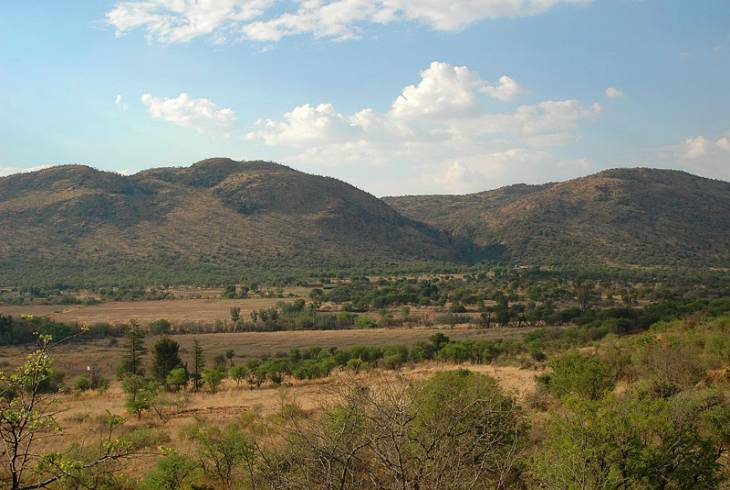 It farms mostly cattle, sunflowers and maize and is well known for the Vredefort Dome which has the largest meteorite impact site in the world with a diameter of 300km. Vredefort is an interesting holiday destination for the whole family. There are many watersports available such as abseiling, canoeing, skiing and jet skiing. There are also guided tours available where you will get to investigate caves and see Bushman Paintings. The tour also includes a Gold Mine, an experience not to be missed. Vredefort is in the Free State and enjoys hot to very hot summer months with most rainfall in the summer and cool to very cold winter months.